Beauty and the Beast is my favourite fairy tale. Always has been, perhaps since I read “The Wounded Lion” in the gorgeously illustrated ENCHANTED TALES (Rand McNally, 1978) as a small child. I read Robin McKinley’s Beauty until the cover fell off, and Rose Daughter years later. Between those, I loved Gargoyles and the 80s tv series starring Linda Hamilton and Ron Perlman; I watched the 1946 film and the 1991 one, and I read many, many versions of the story. When I learned the story we all knew was based on a 1756 French fairy tale, I read that version too, delighted to have read the ‘original’, in so far as fairy tales have definitive originals. Except very recently, I discovered the 1756 version was adapted from a longer, more complicated and backstory-heavy version from 1740. Many, many elements are the same familiar ones we know: a wealthy family brought low, a retreat to the woods, a chance at financial redemption, a rose that wrecks everything. But the backstories, OMG. The wicked fairy wasn’t *just* a nasty old fairy who transformed the prince for being a pill. The kingdom isn’t *just* left bizarrely bereft of its ruling family. There were all *kinds* of other things going on. There are political and sexual revolutions underlying the story. It was amazing! I had–of course–always wanted to write a version of Beauty and the Beast myself (I mean, the actual fairy tale itself; The Negotiator Trilogy *is* a BatB story, obviously), but I’d never really known what I might be able to bring to the story that others hadn’t. And with this 1740 version of the story in hand, I all of a sudden knew what to do. A great deal of what you’ll find in these pages is drawn from that centuries-old story. Not all of it, obviously, but maybe more than you’d think. I hope you enjoy reading it as much as I enjoyed writing it, because I had SO MUCH FUN! Amber Gryce believes in magic the way anyone does: as a thing of the past, marked now only by the long reign of an ancient queen sworn to live until her stolen son is returned to her. Such stories are romantic but distant for Amber, surrounded by family and wealth. But like magic, wealth can disappear. 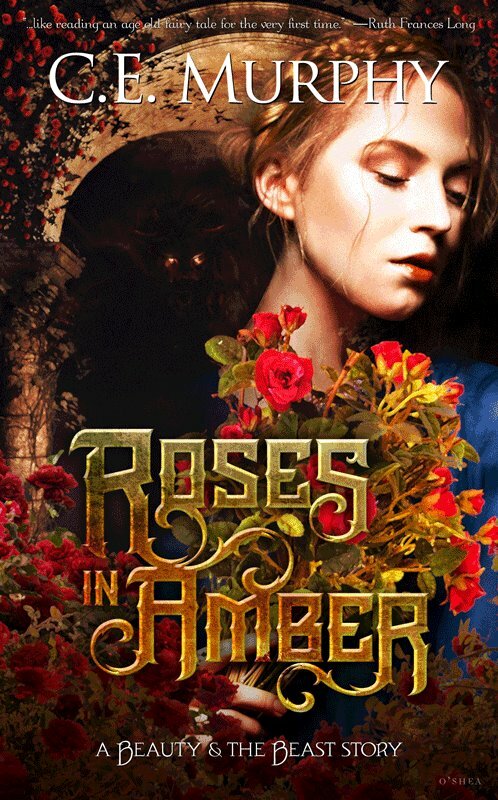 Left destitute, Amber’s family retreats to a forest holding far from their city home, where Amber’s love of roses leads her into the heart of enchantment, and draws her into a retelling of the tale as old as time…. And it is out in print! Got mine ordered!